Corporate Party Ideas That Bounce, Dunk or Splash! 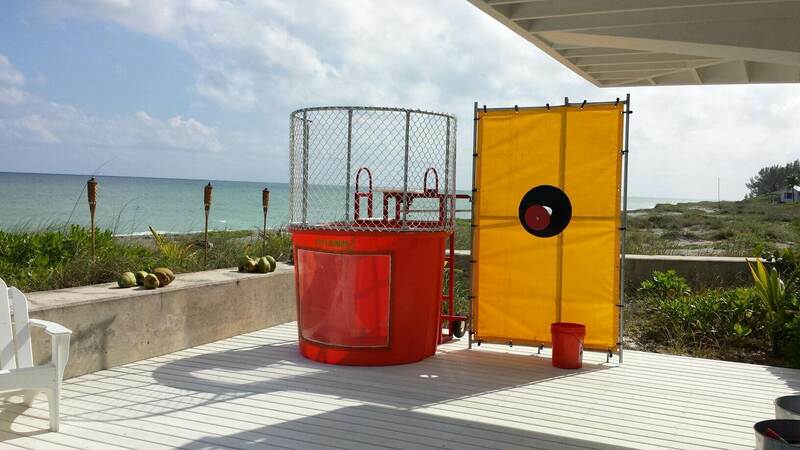 Who wouldn’t like to see their boss in a dunk tank either for a corporate part or for your next corporate fundraiser in Palm Beach or Broward County? If your boss gave you the honor of planning an event for your office or you’re a party planner, then this event tip is for you! Often the person planning has to come up with ideas that will motivate or help with building teamwork for the company parties. We have outlined a few ideas here for your consideration next time you’re plagued with the company planning. Wouldn’t you love to see your boss get dunked? Team building is one goal that many companies look to achieving when gathering employees together. Think outside of the box and build successful teamwork. Use one of the obstacle course bounce houses or our Wipeout to build team camaraderie? With our Interactive Bounce Houses, your teams will be talking about the event months later. Use one of the Dry Slides as part of a relay race. Don’t forget to include Cotton Candy and Hot Dogs and include a carnival themed party. Keep the laughter going with one of the photo booths. The Strip Photo Booth offers retro pictures and a variety of different photo options. The guests can take pics that are black and white pics or funny props. The photo booth is a memorable way to share the excitement. Give the crew a few laughs by having a dunk tank on site. Select the perfect people to be the dunkers and watch everyone jump in line for a shot at dunking their favorite co-worker. Imagine Charlie or Bob from IT shouting and carrying on while Sally from accounting gives him a serious soaking. Whoever is the dunker or the dunkee fun will be had by all. Bounce houses and water slides make even the oldest employee have a good time. These inflatable novelties are not just for kid’s parties. Just a little planning and innovation you’ll look like the employee of the year. Or if you’re a party planner, these large bouncing toys will make you be the first in mind for planning everyone’s events. For waterside or bounce house, rental information contacts one of our representatives today. For you next corporate in Boca, Palm Beach and Broward County, give us a call today! !